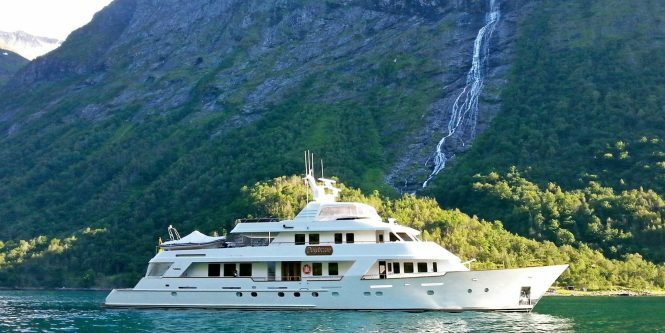 The 42.60m luxury motor yacht DAYDREAM, with a launch by Christensen of the USA in 1991, followed by a refit in 2008, is offering a very special 15% off the weekly rate, for all remaining summer weeks, cruising the remarkable Northern European waters of Sweden. 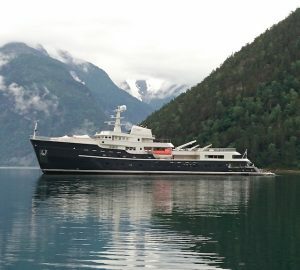 Her interior and exterior styling was completed in-house, she accommodates 10 charter guests, across 5 cabins. 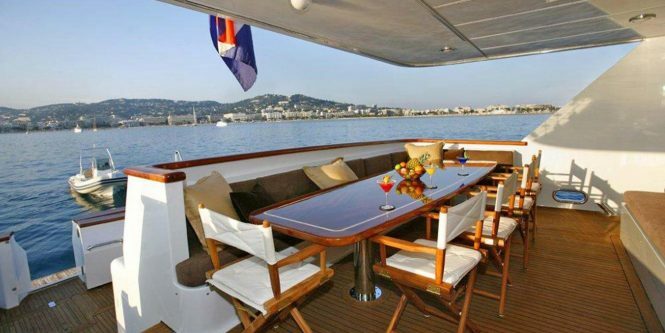 An open plan main salon and dining on the main deck is ideally suited to socializing with friends and family. The aft section offering a generous lounge with ample neutral toned seating, surrounding a wooden coffee table. Forward is the formal dining area. A combination of wood trim and light panelling creates a contemporary atmosphere. An upper sky-lounge has a more relaxed feel, with rich dark furnishings. 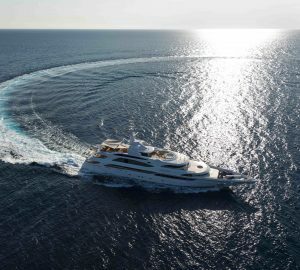 M/Y DAYDREAM delivers excellent exterior living on 3 decks. 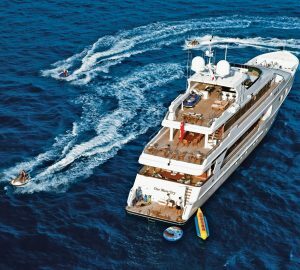 Her main aft deck offers alfresco dining, further aft an extended aft section is great for fishing, alternatively also perfect for the crew to arrange the myriad of water toys available. The upper deck is a vast sunning space when the tenders are launched. 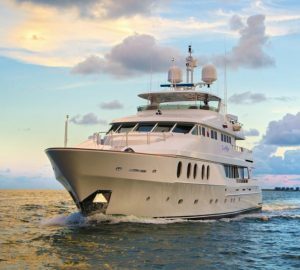 On the sundeck, the Christensen yacht features alfresco dining, a wet bar and sun pads. 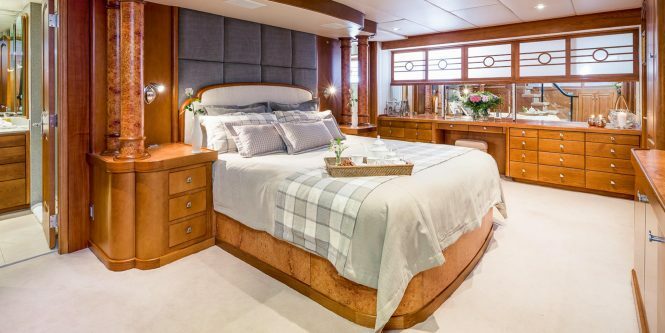 Accommodation aboard is on the lower deck, in a master suite, 2 VIP cabins, plus 2 twin cabins, each offering private en-suite facilities, full entertainment systems and a spacious configuration. Fitted with twin 1450hp Detroit diesel engines, she achieves speeds of 12 knots cruising and up to 18 knots at top speed. 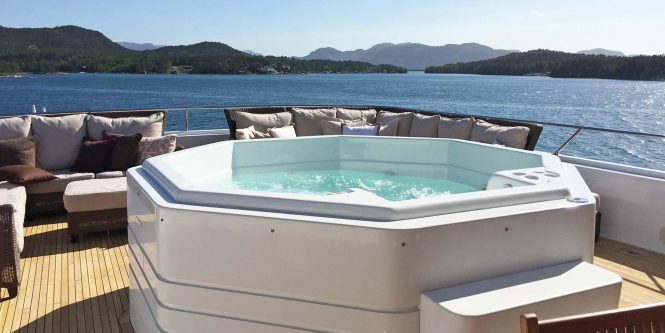 Please contact CharterWorld - the luxury yacht charter specialist - for more on superyacht news item "Charter yacht DAYDREAM offering 15% off cruising Northern Europe's Sweden".